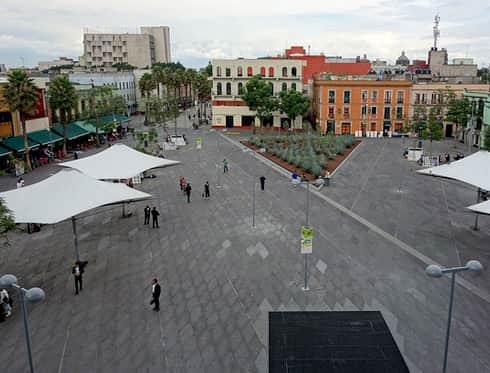 Garibaldi Plaza is located in the north central part of Mexico City's historic centre, in the neighbourhood of La Lagunilla, on the Eje Central Lázaro Cárdenas and Allende, República de Perú and República de Ecuador streets in the Guerrero colony. It borders on the Tepito neighbourhood. It's the ideal place to discover the magic of Mariachi bands while sipping some tequila or savouring the best traditional Mexican cuisine.